Halloween is filled with sweet treats. Chocolate just abounds from our kitchen as anything chocolate covered can turn into a ghost or a pumpkin. 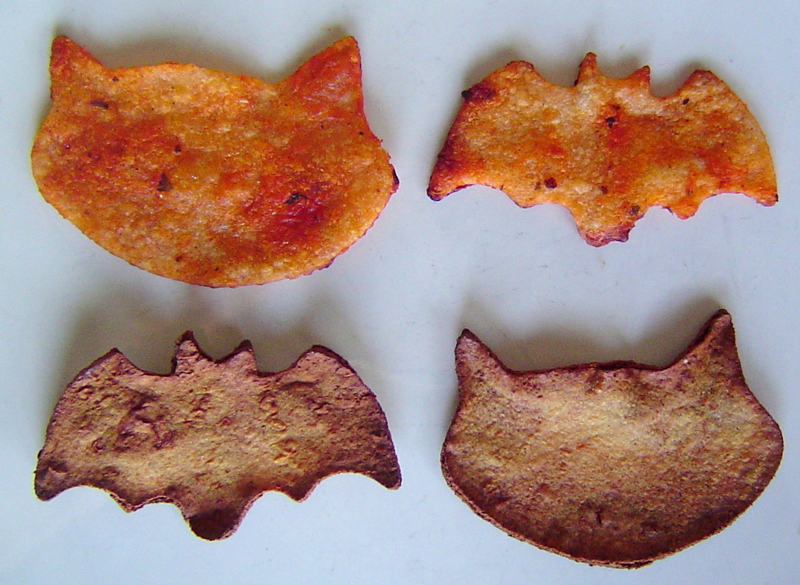 However, I like to provide our guests with some healthy Halloween Food as well. Not everything has to be full of sugar to look like an Iconic Halloween character. 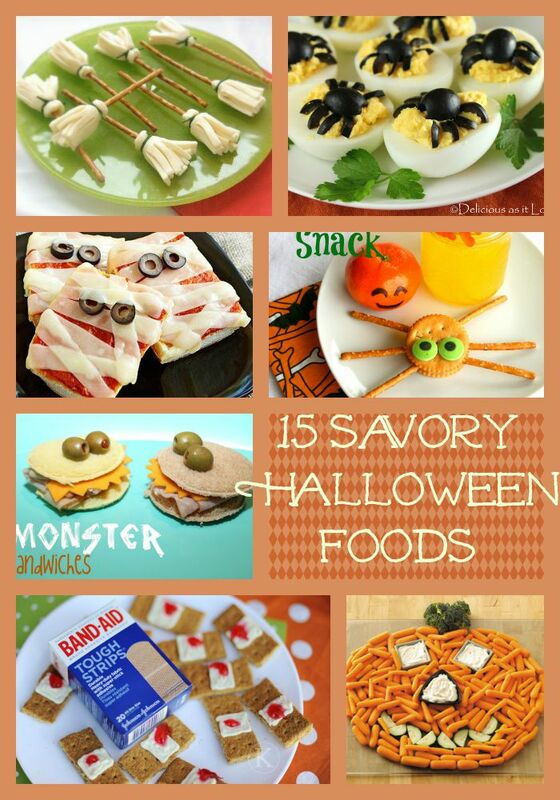 I hope you get some inspiration for this round up of Healthy Halloween Foods for Parties I found from Pinterest and cant wait to hear which one looks the best to you. Most schools these days, don’t want to fill their kids with sugary foods at a in school party. Unless they are headed right for the buses afterward. Surprise your teachers with these fun Healthy Halloween Foods for Parties that won’t disappoint kids looking for sugary party food. 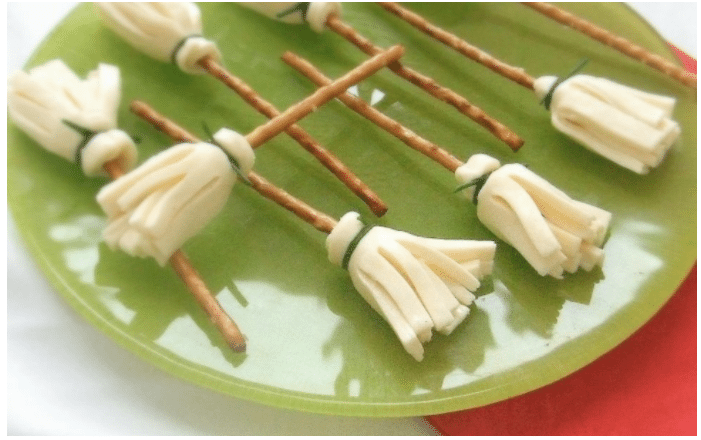 Look at how cute these Pretzel & Cheese Broom Sticks are. 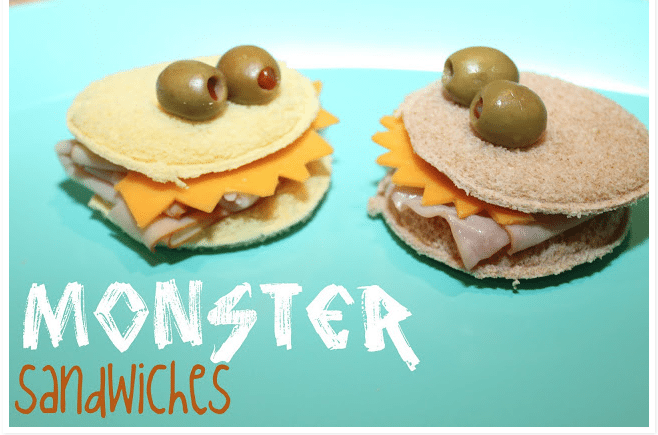 Fill your kids lunchboxes with these Cute Halloween Foods like these Monster sandwiches. 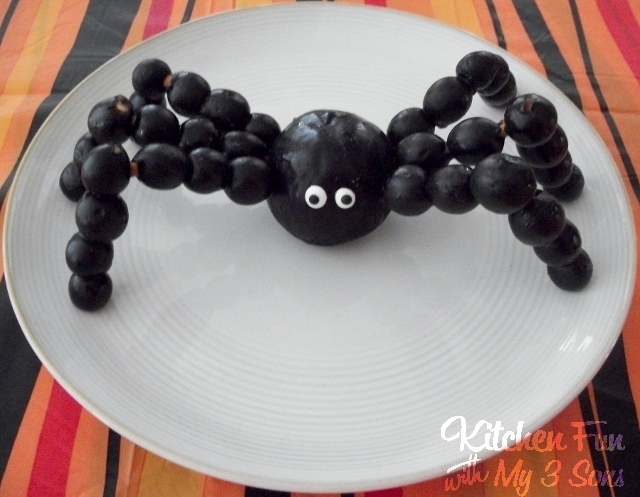 What will your kids think of this Fruit Spooky Spider Snack ? 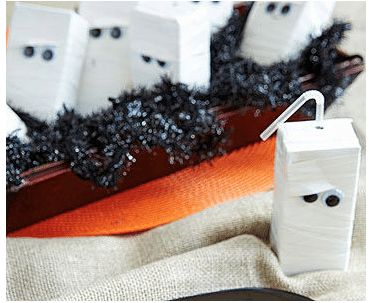 Make these Mummy Drink Boxes for a Halloween Party instead of sugar soda. 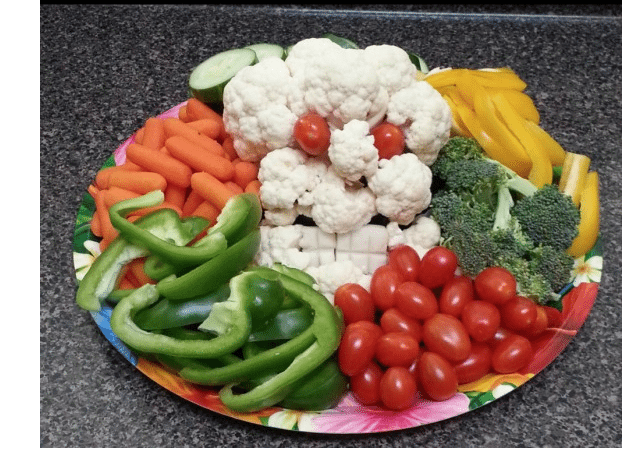 This Halloween Veggie Platter will surely spook your Halloween Guests. 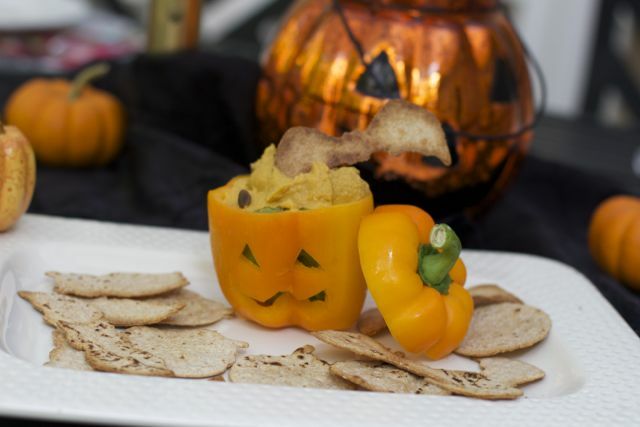 Which Healthy Halloween Foods for will you make this year? Regardless of the fact that treats are available year round, I love creating some of my own. 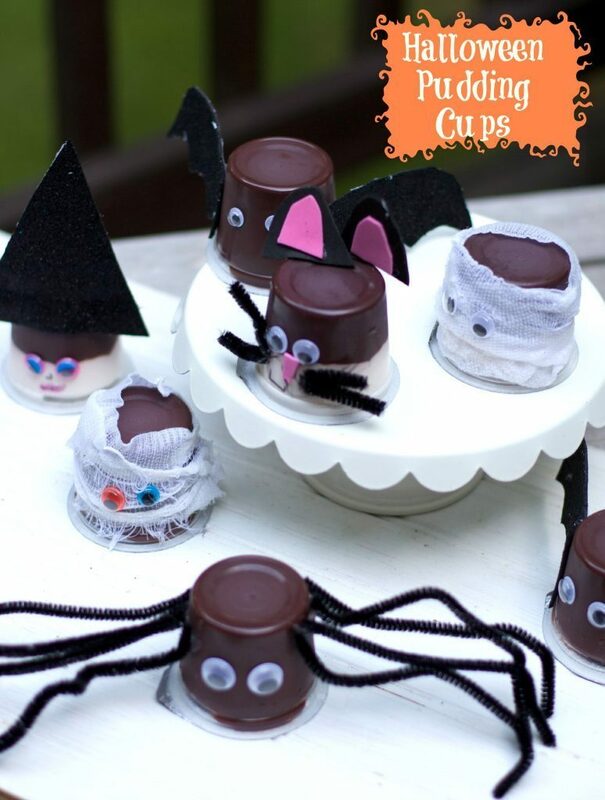 Thank you for for sharing these 15 funky treats, perfect for Halloween. Halloween used to be a time for treats. Since they are available year round it’s not so special. These food ideas sound delicious. 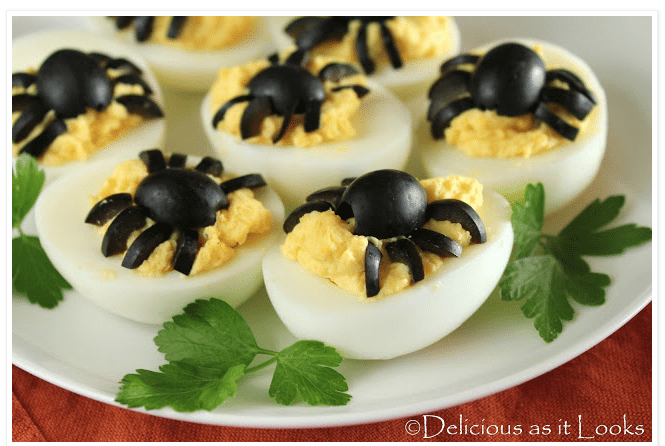 I love the spidery deviled eggs. Not sure I could do the band aid crackers, though. How fun! I am saving this! I love Halloween time!! A Halloween veggie tray would be a hit in my house. 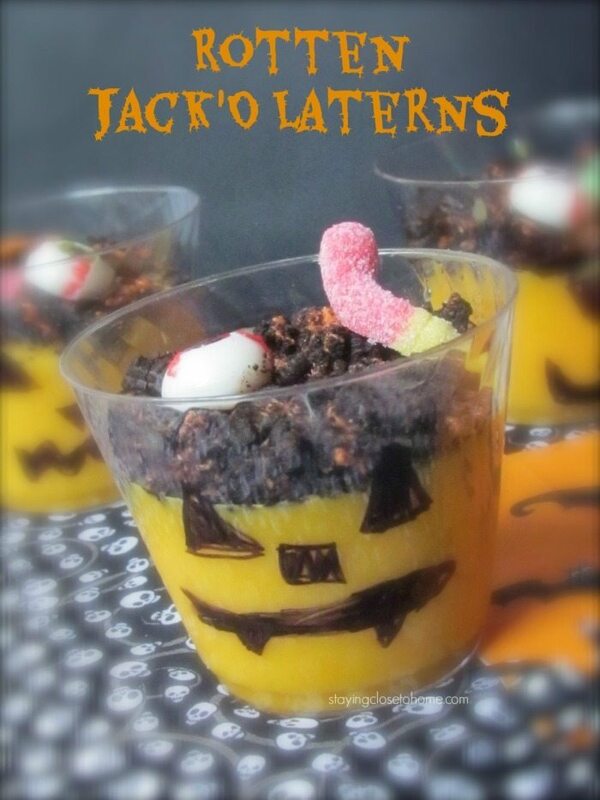 I never thought to offer healthy treats for Halloween, but they too can be delicious. Our Halloween treats have changed significantly since we learned that our son is allergic to chocolate 🙁 They are healthier out of necessity. 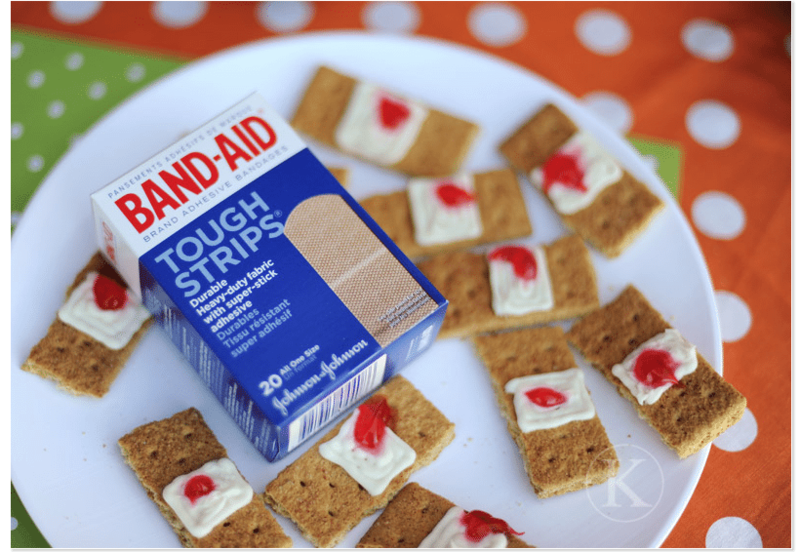 On another note, I can’t imagine eating those bandaid treats … Haha! Wow all of these are just adorable and sooo cute! I think I would like to try the Band-Aids and the spider deviled eggs!